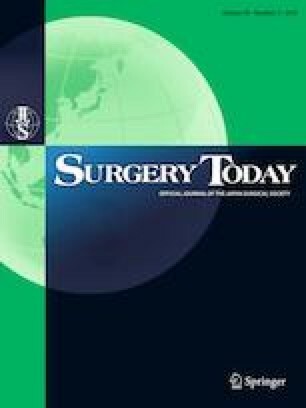 The purpose of the study was to compare the outcomes of laparoscopic distal pancreatectomy (LDP) and open distal pancreatectomy (ODP) for benign and low-grade malignant lesions to determine the safety and efficacy of LDP. This retrospective comparative study included 67 consecutive patients who underwent LDP (n = 32) and ODP (n = 35) for benign or low-grade malignant lesions of the pancreas from January 2012 to March 2017. Thirty-five patients who were eligible for LDP in the ODP group were carefully selected. The clinical outcomes were compared in an intention-to-treat analysis. LDP was associated with significantly less operative blood loss (182 ± 232 vs. 505 ± 376 ml, P < 0.001) but a longer operation time (327 ± 89 vs. 173 ± 48 min, P < 0.001), than ODP. There were no significant differences between the 2 groups in the overall morbidity rates defined by Clavien–Dindo classification ≥ grade II (13% vs. 11%), clinically relevant postoperative pancreatic fistula rates (6% vs. 9%), and lengths of postoperative hospital stay (11 vs. 11 days). The study showed that LDP was safe and feasible. LDP should be considered as the first-line treatment for benign and low-grade malignant lesions in the left side of the pancreas. No grant support was provided for this study.